There was no forecast last week as we were hoofing it across neighbouring Gran Canaria where in the hills it was positively cold. 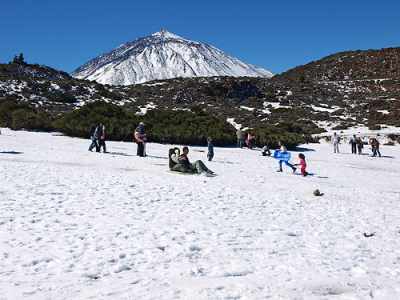 Reports from Tenerife suggested that a cold front was affecting the Canary Islands with holidaymakers in Costa Adeje finding that their escape to the sun was foiled by a poor start to May. However, when we set foot back on Tenerife soil at Santa Cruz on Saturday it was warm and sunny along the east and north coast and that’s the way it stayed through Sunday as well. 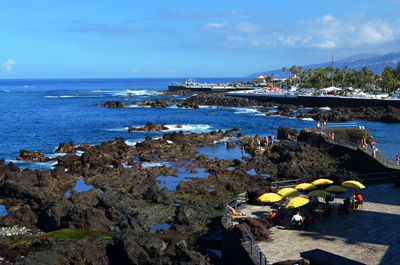 Normal service is resumed this week with warm and sunny weather across Tenerife for most of the week. 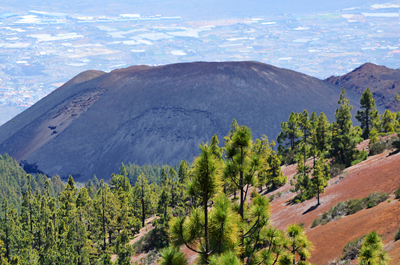 A hike in temperatures midweek combined with breezy weather in parts might suggest a light calima is passing through. Weather in South Tenerife – Simply sunny and warm all week with Monday starting at 25C before the thermometer rises to 30C midweek and drops back to a more normal 24C for the weekend. Weather in North Tenerife – Apart from Sunday which will be a mix of cloud and sun, it should be a warm, sunny week in the north with the pattern following the weather in the south. 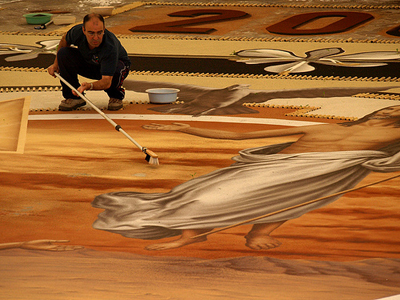 Temperatures are slightly lower – 21C in the shade, rising to 25C and finishing the week at 20C. Weather in East Tenerife – Almost a mirror of the north’s weather with a warm, sunny week except for Sunday which will be cloudy. Temperatures are more constant in the east, hovering around 23C for most of the week before dropping a couple of degrees by the weekend. Weather in South West Tenerife – No different in the south of Tenerife except it may be a degree hotter. 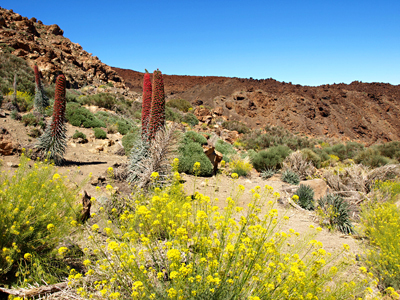 Weather in the Mount Teide Crater – Things are slightly different in Teide National Park where there might be cloudy spells on Monday afternoon, Tuesday morning, Thursday and Friday. Temperatures in the crater will vary between 15 and 20C, whilst on the summit they will be between 6C and 8C. So far today webcams around Tenerife show a sunny Tenerife with some light cloud about. 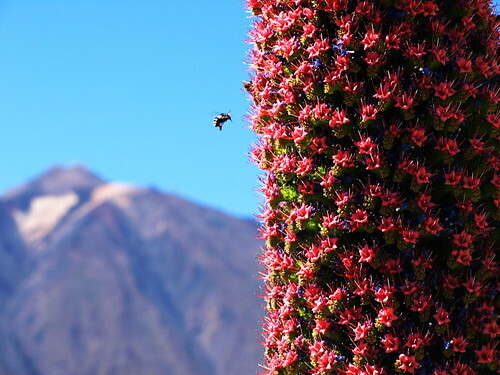 Pic: It’s tajinaste time in Teide National Park.